2017 recruits Josh Pickess and Lachlan Bramble will both make their senior debuts for the club this Sunday against North Ballarat at Burbank Oval. Two impressive wins in a row to Williamstown's development team sees them advance to second on the Development League ladder. Join us this Sunday for our Round 9 President's Luncheon featuring Masterchef Australia's George Calombaris. Williamstown has won its fifth straight match, defeating Sandringham by 24 points at Burbank Oval earlier today. 2015 Williamstown premiership player Leigh Masters will return to face Sandringham tomorrow after missing last week's win over Geelong. Williamstown players and staff were up bright and early on Saturday morning to lend a hand at the Williamstown, Altona and Newport Auskick clinics. 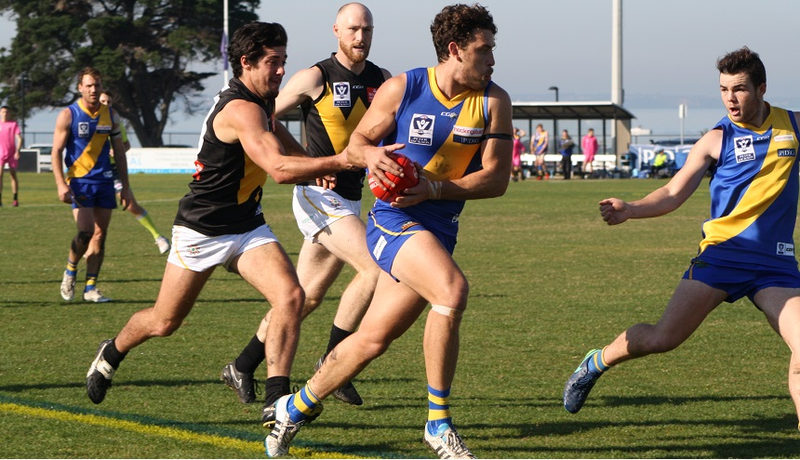 Williamstown's development team are back on the winner's list after an impressive 39-point victory over Werribee on Sunday. Join us for our Round 8 President's Luncheon featuring stars of the 1985 VFA Grand Final & former Major League Baseballer, Justin Huber. Williamstown has stunned Geelong, booting eleven goals in the final term to clinch victory by 53 points at Burbank Oval today. Talented forward Josh Pickess is set to wear the blue and gold for the first time this weekend, having recovered from his pre-season ankle surgery.